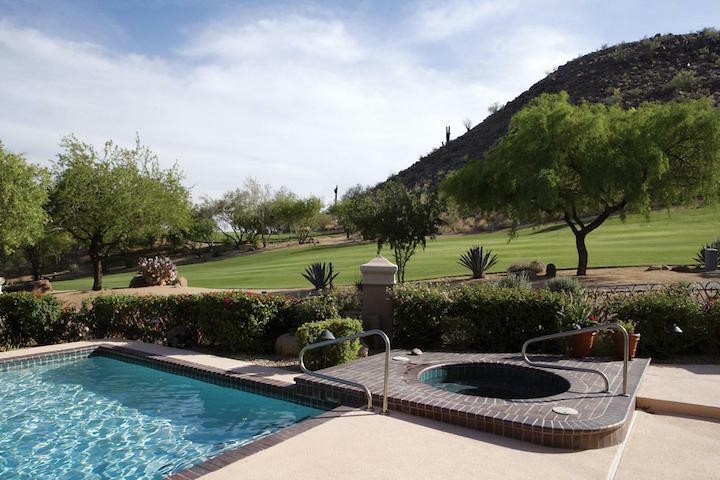 Phoenician Estates is located in beautiful Paradise Valley, Arizona. Phoenician Estates is a gated, golf community with many homes backing right onto the prestigious Phoenician Golf Course. Phoenician Estates offers; tennis courts and biking/walking trails and endless hiking as it's located just East of the "Cholla Trail Head" entrance to Camelback Mountain Preserve. Phoenician Estate homes rarely come on the market and go quickly due to their ideal location, near world class shopping, nightlife and trendy restaurants. Below are the latest listings for sale in Phoenician Estates. Our Russ Lyon Sotheby's Real Estate experts can guide you through the homes currently for sale and help with your search for the perfect home in Paradise Valley. To set up a private tour of any home you see here contact us at; 888-316-4622.